Stipe Miocic and Daniel Cormier will do battle in the main event of UFC 226 for the UFC heavyweight title, in a super-fight with two UFC champs going at it. It's hard to tell now, but this is a matchup of two Hall of Fame type fighters, each of whom is champion in their division. Miocic, the heavyweight champ, just set the UFC record by becoming the first big man to score three defenses of his title, beating favored challenger Francis Nagannou in January. The 35-year old looks to add another huge win to his resume, but the light heavyweight king Cormier is no easy-out. A former contender at heavyweight, he brings a lot of things to the table that make this a problematic title defense for Miocic. Both men were very impressive in their last outings. Miocic made a fool of a lot of people who overlooked him against the apparently-fierce Ngannou. The challenger had scored such violent wins leading up to that title challenge that many felt a changing of the guard was in the cards. It was not to be, as the steely and hard-to-rattle champion scored a thorough decision win. In his last fight, Cormier, who will be 39 by fight-night, made easy work of Volkan Oezdemir, stopping him in the second round with punches. I think fans and observers have been too hard on both of these fighters. Cormier, in particular, has lost twice to Jon Jones (of which only one counted) but has otherwise thrived in both the heavyweight and light heavyweight divisions. If not for the Jones fights, it's hard to say anything bad about Cormier. And there really isn't much shame in losing to perhaps the best MMA fighter of all time, especially with Jones' PED righteousness drawn into question. He's a clean liver and a top champion. Miocic, meanwhile, is on a big old roll and it seems like people are always trying to make a case for him to lose. But he keeps on winning and is really in the midst of an incredible run of success. There is something low-profile about the way he handles his business, but the results speak for themselves. Since losing to ex-champ Junior dos Santos by decision in '14, Miocic has been on-fire. Knockouts over Mark Hunt and Andrei Arlovski led to a challenge of Fabricio Werdum, whom he flattened in the first round. His first two defenses were also over in the first round, with a KO of Alistair Overeem and a rematch win over dos Santos. And then came the win over Ngannou, a ferocious striker who many thought was the heir-apparent. Miocic has faced a murderer's row of challenges the last several years, managing to shine and emerge as the top big man in the sport and perhaps the finest UFC heavyweight to ever grace the octagon. Cormier is also on a nice run, barring his controversial loss to Jones, who later tested positive. Two wins over feared Anthony Johnson, a win over Alexander Gustafsson, and the dominant title defense over Oezdemir underlines that he is still at the top of his game. Any thoughts that he had grown stale or that there were residual affects from the bad beating to Jones were dispelled with a crisp showing against Oezdemir. And while some should be skeptical about the prospects of a light heavyweight being able to do what top heavyweights haven't been able to do and beat Miocic, he is not your average light heavyweight. Leading up to him becoming a top light heavyweight, he was in the heavyweight division scoring some nice wins along the way. He beat current top boxing heavyweight contender Lucas Browne, Bigfoot Silva, Josh Barnett, Frank Mir, and Roy Nelson at that weight. So it's not like he doesn't know what it's like to be in there with big men. Cormier will be at a size disadvantage, however, listed at a gratuitous 5'11." He will be facing a large man in the 6'4" Miocic, a fighter who has vanquished some big giants in recent fights. But Cormier will likely enter the ring in the 220-230 range. Combined with his ability to use that weight, he could be in OK shape. Miocic is unquestionably a fine wrestler, but Cormier is on a different level and should put his added poundage to good use. Cormier is no picnic. Sure, you see Miocic lighting up big men who are noted strikers and it's easy for our mind to project good things here against a smaller guy whose striking isn't as good as Miocic's recent opponents. But Cormier is a winner. He's a great wrestler of Olympic caliber and if Miocic is unable to get him out of there, Cormier's stamina could pay dividends, especially in the fourth and fifth rounds. And he's gotten nice with his hands over the years. While not great, he's still a threat with his hands and strikes. And looking back on his heavyweight days, he was able to use his wrestling and overall strength to good affect, throwing around accomplished heavyweights like Josh Barnett. Again, he's proven he can compete and thrive against men of bigger stature. Miocic, however, is also a winner. When analyzing his strengths, that's an overlooked factor—his simple ability to cultivate wins and find a route to victory in difficult and dangerous fights. He's as tough as a two-dollar steak and not easily dissuaded. He is a well-rounded fighter who won't beat himself. He doesn't get rattled and has a perfect fighter's disposition. Miocic has been able to overcome adversity, bursting out of a pack of contenders a few years ago to become the signature big man in the UFC. And if an opponent makes a mistake, he can capitalize with economically-delivered strikes. There's a certain level of control to his attack. He can end fights suddenly and early, while also being able to wear a man out over the distance. While not gifted with the stamina Cormier possesses, he is also proven over a championship distance. It's not easy to make a case against Miocic. He's a lot bigger and on a big roll of success that might represent the best 4-fight stretch in UFC heavyweight history. Again, watching him vanquish one monster after the next makes it hard to envision a smaller Cormier being able to turn the trick. I have to admit that I was wrong about Cormier. But I'm coming around to the idea that Cormier is truly a remarkable fighter and in many ways, an all-time great. I see his skills translating well against the bigger man, en route to a close decision win for Cormier in a fight where making a pick is certainly not easy. 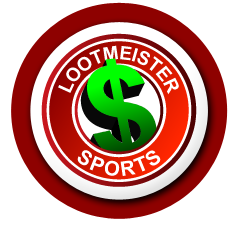 Loot's Pick to Win the Match: I'm betting on Daniel Cormier at +165 betting odds. Bet this fight for FREE by taking advantage of a massive 100% sign-up bonus on your first deposit of $100 to $500 at GTBets!